Just like Haruka and Aoi, he attends St. Cherine Academy. He is one of the most popular boys in their school due to his looks, and it is seen that even Haruka has feelings for him. Yuito is the true identity of Misty Knight, and usually comes to help when Twin Angels need help. Yuito Kisaragi is parallel to Sailor Moon's Tuxedo Mask (Mamoru Chiba). He 'dies' in the tenth episode due to explosion, but in the last episode (12), he appears again, showing that he actually didn't die from the explosion. In the second season, he is trying to find a way to free the previous Twin Angels, Haruka Minazuki and Aoi Kannazuki, while preventing Mary to collect coins. 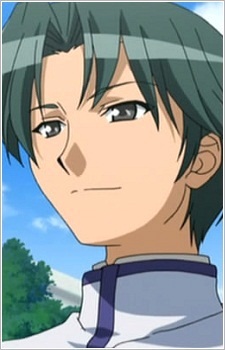 He occasionally helps Meguru Amatsuki and Sumire Kisaragi, the new Twin Angels. He is the older brother of Sumire. Between episodes 5 and 6, Yuito is brainwashed by Mary to collect coins for her by attacking people with high energy in them. In episode 8, it is revealed he wasn't brainwashed and was just faking it.